YouTube is placing restrictions on the content posted from UK far-right figure Tommy Robinson, whose real name is Stephen Lennon. However, this will not lead to a full ban on his content for the platform. According to a report posted on BuzzFeed, YouTube will be taking away view counts, likes and comments currently on videos, as well as removing the ability for them to show in suggested videos. Robinson’s videos will also have a warning placed on them, warning audiences about the content they are about to view. 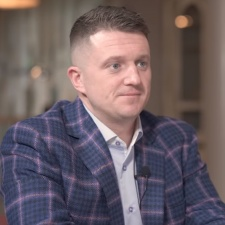 “After consulting with third-party experts, we are applying a tougher treatment to Tommy Robinson’s channel in keeping with our policies on borderline content," said a YouTube spokesperson, speaking to Mashable. Youtube plans on taking more limiting actions against videos it deems to get very close to violating it’s policies. Any video that doesn’t violate Youtube’s policies, but contains controversial religious or extremist elements, will get the same restrictions as Robinson's content is getting now. Robinson also received bans from posting to Facebook and Instagram back in February. Facebook made the announcement in a blog post, where it said that Robinson's content was repeatedly violating guidelines for "posting material that uses dehumanising language and calls for violence targeted at Muslims". Twitter is also permanently banned from Twitter, which leaves YouTube as the only major online platform to not fully halter his far-right activism.